Banner has a quote from the Book of Revelation, reading, “Fear God and give him honor, for the hour of his judgment is coming.” This was the summation of Vincent’s mission. Trumpet: Sounds warning of the end of the world. Flame over head: Apostolic gift of the Holy Spirit. The ability to communicate in all languages. 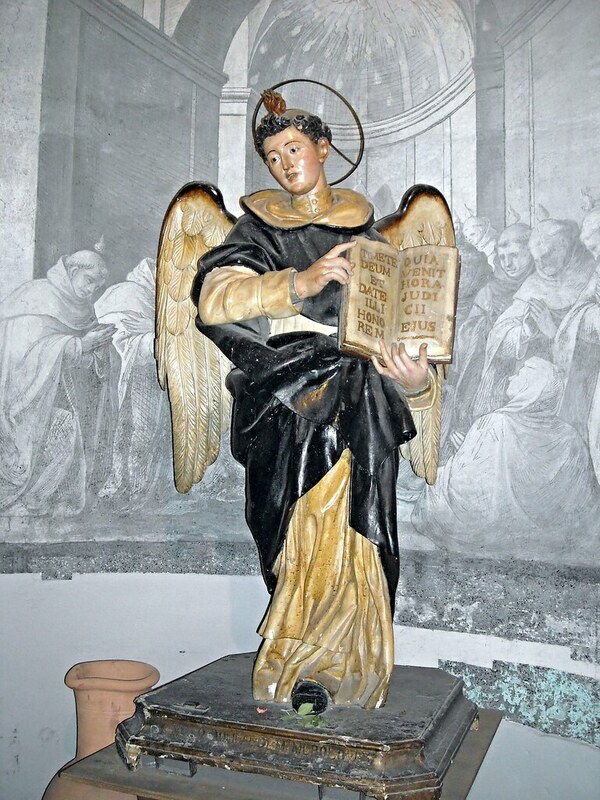 Angel Wings: Vincent Ferrer was known as the “Angel of the Apocalypse”. This entry was posted in Builders, construction workers, Epilepsy, head aches, lightning strikes, Novena, Occupations, reconciliation, roofers by sandra dipasqua. Bookmark the permalink.